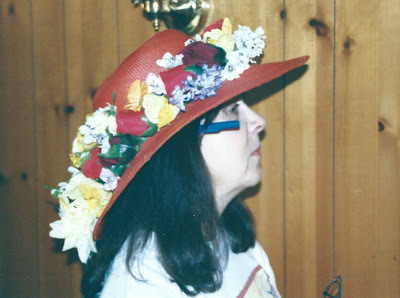 Each year during the Kentucky Derby, I get a bit nostalgic. For numerous years, 5 and sometimes six couples of life long friends gathered together. It began with my parents 25th wedding anniversary, and then several weddings. It then evolved into long weekends...Napa Valley and Lake Tahoe before finally finding the magical place. Each year, we met at Bass Lake. Most of the time the reunion occurred in May and on more than one occasion during the Derby weekend. 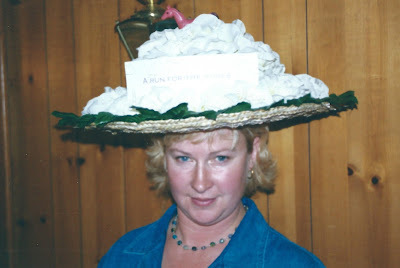 One year, we decided a Derby Hat Contest was called for. My "Run for the Roses" entry seems to not fit properly. 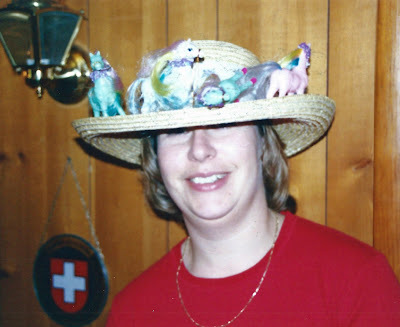 The "My Little Pony" sales went through the roof that year courtesy my sister. There may or may not have been betting on the race during these weekends. A clue is the pen behind Sharon's ear. Serious studying and note taking, I tell you. This ever classy and kind lady. And then the common denominator. 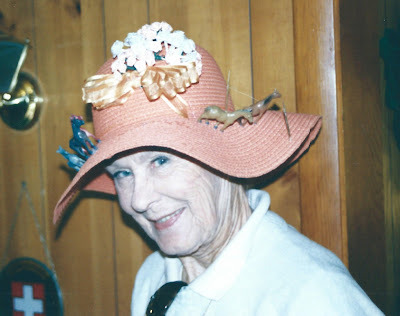 The lady who gave life to my sister and I and began the cherished friendships with Allie and Sharon in the early 1960's. 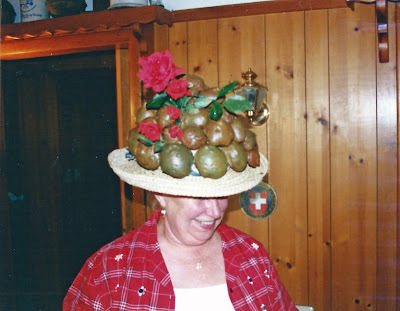 She made a hat with horse poo and roses. I tell you, we take this Derby stuff seriously. If you are undecided, check out the details. I think I am leaning toward Bolt d'Oro. I like his owner's simple working man story. Although I may change my mind.